Easy to install, run and modify. Rich in free templates, themes, and plugins. Simple to control and manage. Using a CDN with WordPress will significantly improve loading speed. Below, we're going to give you detailed instructions how to integrate CDN with WP. 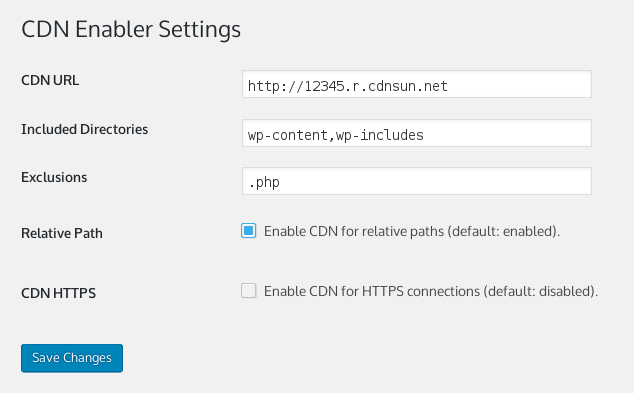 Install and activate the CDNsun WordPress CDN Plugin. Go to CDNsun plugin's Settings. Fill in your CDN domain as in the picture below. 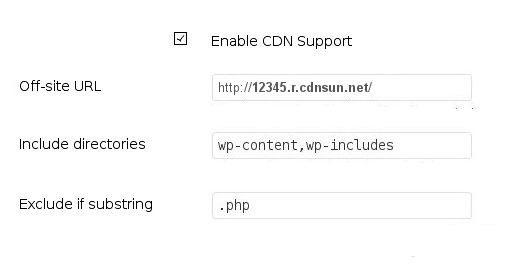 Anyone is welcome to contribute to the CDNsun WordPress CDN Plugin on our GitHub. Install and activate the W3 Total Cache plugin. Using the left menu go to Performance → General Settings. Don't tick Enable and select Generic Mirror from the CDN type select box as in the picture below. Using the left menu go to Performance → CDN. Scroll down to the Configuration section. 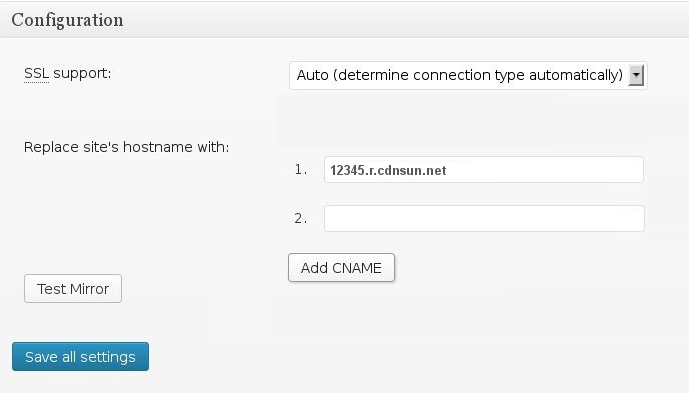 To the Replace site’s hostname with input field fill in your CDN domain as in the picture below. Install and activate the WP Super Cache plugin. Using the left menu go to Settings → WP Super Cache. Switch to the Easy tab. Select Caching On and click Update Status. Switch to the CDN tab. Tick the Enable CDN Support check box and to the Off-site URL input field fill in your CDN domain as in the picture below. If you don’t have SSL enabled for the CDN service tick the check box Skip https URLs to avoid "mixed content" errors. For this integration you need a CDN Static Push service. Let's assume that your CDN Static Push service and your CDN storage have the following properties. Don't tick Enable and select Self-hosted / File Transfer Protocol Upload. from the CDN type select box as in the picture below. Don't click Save all settings at this moment. 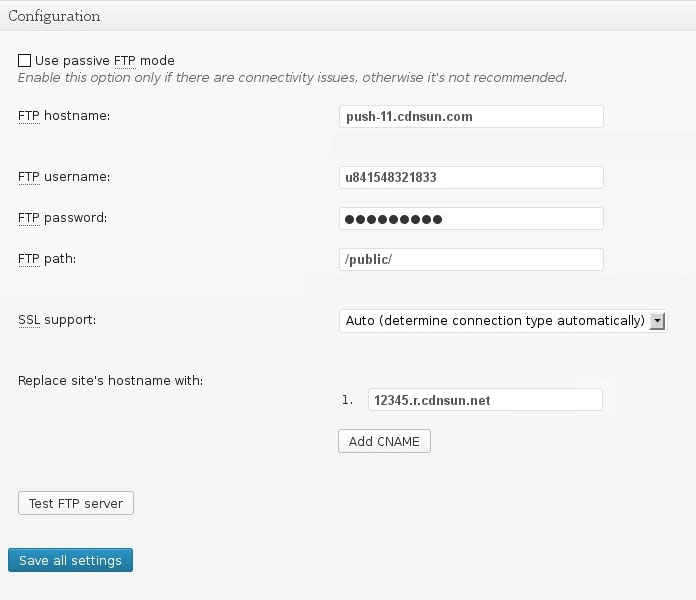 Scroll down to the Configuration section and fill in FTP hostname, FTP username, FTP password, FTP path and Replace site’s hostname with input fields as in the picture below. 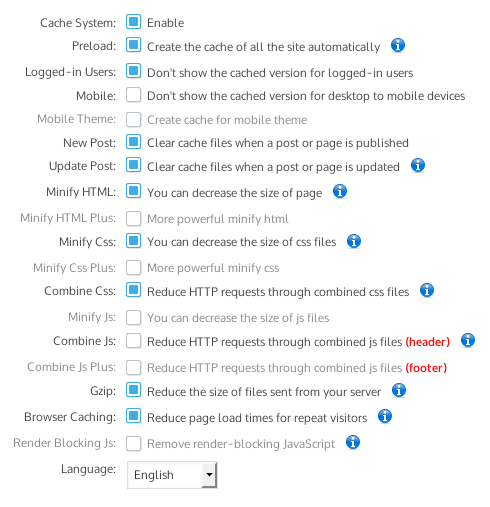 Install and activate the WP Fastest Cache plugin. Using the left menu go to WP Fastest Cache Options. Configure the plugin on the Settings tab similarly as in the picture below. Go to CDN tab and click on Other CDN Providers. 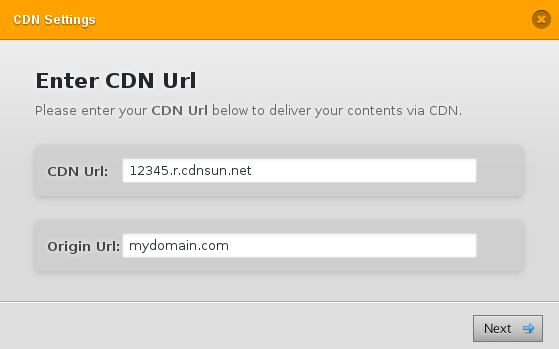 Fill in your CDN domain and your origin domain (e.g. mycompany.com, it should correspond with your WP website domain) as in the picture below. Next specify which file types should be served via CDN. Install and activate a Pro version of the Comet Cache plugin. Using the left menu go to Comet Cache Pro Options. In the Enable/Disable section enable Comet Cache as in the picture below. In the Static CDN Filters section enable CDN filters as in the picture below. In the same section fill in your CDN domain as in the picture below. At the bottom of the page click on Save All Changes. Install and activate the CDN Enabler plugin. 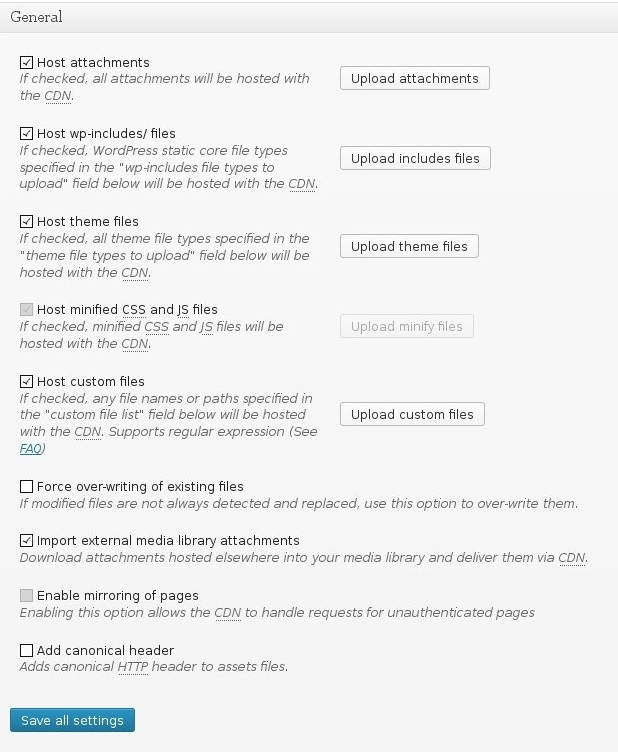 Go to CDN Enabler plugin's Settings.